The floristry team at Longacres have been working hard to create some stunning Christmas bouquets, arrangements and wreaths to help you set the ultimate jovial feel for your home. To help you choose, we've created a little list of our favourite top sellers that would be ideal as a present for a loved one or a treat for yourself! 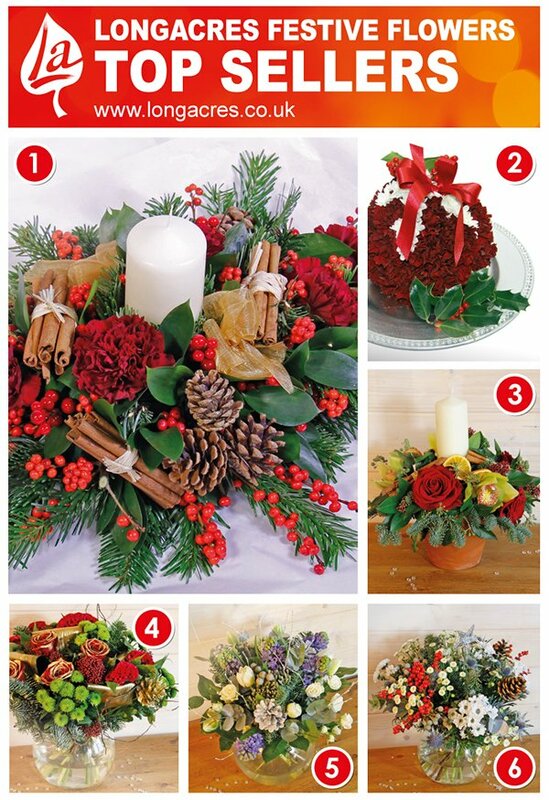 However, if none of these suit your tastes, you can view our full range of beautiful flowers online by clicking here. You can order all of our flowers for local delivery or collection, and a large selection can be sent nationwide; perfect for surprising someone far away this Christmas (details for delivery and collection can be found on individual product pages.) A full range of our flowers can be found online here. Alternatively, you can visit your local store, or give us a call on the numbers found in the footer of this message.